Even though many expected and hoped for a different outcome, Britain ended 2016 as the strongest economy in the world with particular growth in the period after the Brexit vote. Furthermore, the economy grew by 2.2% in 2016 which is more than the six other leading nations, such as the United States, Germany, and Japan. Many predicted that the impacts from Brexit would be seen on British economy such as the International Monetary Fund, the Treasury and also the Bank of England. However, the first statistical showings in 2017 proved them wrong. For instance, GDP grew at 0.3% and 0.6% within the first two quarters of 2016, while the last two quarters showed 0.6% and an estimated 0.5%. The chief economist at the Bank of England Andrew Haldane believes that economic forecasters, in this case, were facing a “Michael Fish moment” over their wrong predictions, which is the reference to the BBC weather forecaster. Furthermore, Mr. Haldane compares the mistake of economists to predict the 2008 recession to the infamous assurance of Mr. Fish that there will be “no hurricane” on the eve when the great storm of 1987 hit England, France, and the Channel Islands. Also, Haldane insisted that the errors made by the Bank were caused by timing and not a fundamental reassessment of the fortunes of the economy. Further, he also warned that inflation would have an effect on household incomes this year. Haldane believes that a slowdown is still likely to happen. Lately, the Bank of England predicts growth of 1.4% in 2017, which help them get to the middle of the G7. On the other hand, Steve Baker, a member of parliament who supported Brexit said that the performance of the economy since the referendum should be considered as a reproach to those who expected and hoped for these horrible consequences. Cambridge University in their assessment criticised Treasury predictions of the UK economy without the EU as “flawed and partisan,” and according to the Centre for Business Research only one of their predictions proved correct and that is the fall in sterling. The performance of the United Kingdom in terms of the economy shows only the strength of the country to deal with or without the support of the European Union. The purchasing managers’ index survey of business activity across the services, construction and manufacturing industries was released even before official GDP data for 2016 as a whole on January 26, and it presents further hiring by companies. In all three industries recruitments accelerated at the fastest pace in 11 months. Furthermore, there is also a positive sign for the months to come such as new orders in the services sector, that accounts for four fifths of the economy. A chief business economist at IHS Markit which is behind the survey, Chris Williamson said that the UK economy finished the last year on a high. According to him, hiring also revived along with the increase in new orders as well as the business confidence in general. December’s PMI reading for services rose from 55.3 to 56.2. It is important to point out that any figure over 50 indicates growth. Furthermore, it also beat forecasts of 54.7. This reading took the composite index of all private sector activity, together with manufacturing and construction, to 56.7, a 17-month high. Mr. Williamson also warned that this strong growth rate, as well as signs of rising inflation, could make the Bank of England raise their official rate of 0.25%. Despite the results, many economists warn that economic conditions in 2017 could deteriorate. Higher inflation will affect everything and everyone, possibly depressing consumer spending. As a result, they consider that the triggering of article 50 in March may cause businesses into cutting their investment plans. According to Scott Bowman, the UK economist at Capital Economics 2017 moderation in growth seems likely. Furthermore, he believes that their new forecasts are true, such as the one considering the GDP growth which they believe will ease from around 2% during the last year to about 1.5% in 2017. 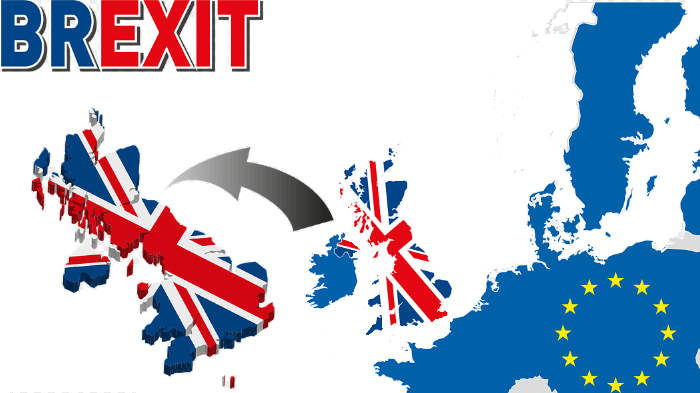 In either case, the United Kingdom expects both positive and negative effects after Brexit.